Once again Al Brown was looking to form another vocal group and fortuitously for him found another Philly outfit, The Coalitions of “Instead How Are You” (and later Soul Junction) fame, who having lost their own lead singer Tony (Talent) Anderson, decided to merge with Al to form a new version of The Intrigues. This new look Intrigues featuring Al Brown, Alan Williams, Stephen Ferguson, Milton Williams and Bruce Fauntleroy who began to perform shows arranged for them by a New Jersey booking agent by the name of Lucille White. It is reputedly believed that Ms White was later responsible for introducing The Intrigues to record producer James “Channey” Turner a colleague of brothers Mervin “Lyric” and Melvin “Mystro” Steals. The Steals brothers former members of the group The Four Perfections of “I’m Not Strong Enough” (Partytime) fame, went on to become one of Philadelphia’s most prolific songwriting teams, their credits include, Magic Night’s perennial favourite “If You And I Had Never Met” (Roulette), “I’ll Do Anything For You, Ecstasy”, Passion And Pain (Roulette) a song later covered by Lee McDonald on his desirable Debbie Records “Sweet Magic” album. But the real jewel in the crown of the Steals songbook is their 1972 Spinners million seller “Could It Be I’m Falling In Love” (Atlantic). The Steals brothers are currently producing in collaboration with Detroit main man McKinley Jackson a new album project on the Chairman Of The Board. Group photo. From left to right: Alfred Brown, Alan Williams, Stephen Ferguson, Milton Williams and Bruce Fauntleroy. During 1978 The Intrigues under the Steals brothers and James “Channey” Turner supervision entered Bill Holland’s New Jersey Studio to record the five featured Steals Brothers penned songs. Although never issued back in the day the recent discovery of a studio tape by Alan Williams has at last given us the opportunity to give these fine Philly soul songs the exposure they richly deserve. 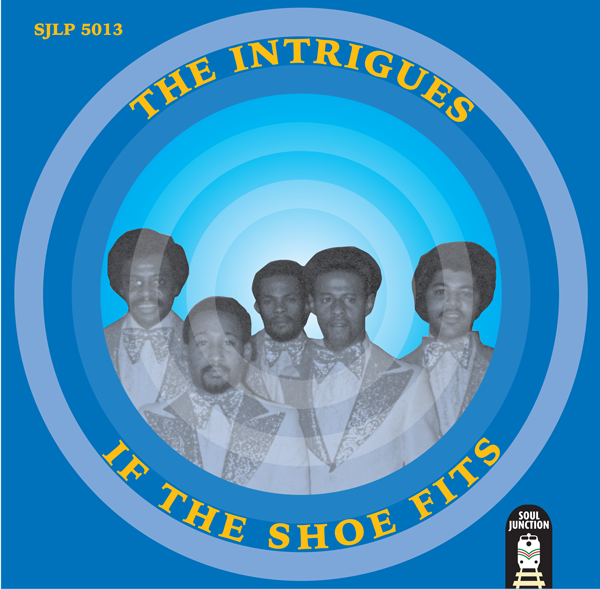 It is Alan Williams who provides the lead vocals on the uplifting title track “If The Shoe Fits” as well as the other two movers “AM To The PM” and “Give Her The Love That She Needs”. With Milton Williams leading on the sumptuous ballad “Let Me Love You Tonight” and Stephen Ferguson too showing his prowess as a balladeer on “You Are So Dear To Me”. Philly Soul at it’s very best!